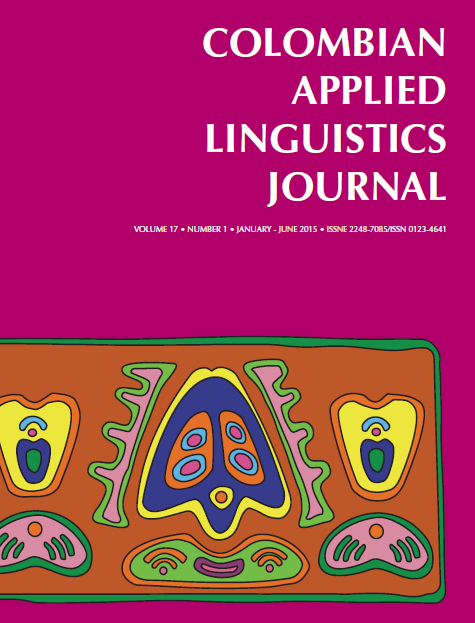 An analysis of the thematic tendencies in the 41 research articles published in the issues of the Colombian Applied Linguistics Journal during the last three years, 2013-2015, indicates that authors have focused their attention primarily on five topics. These themes can be grouped as a) Trends and Approaches to teaching English as a foreign language, with the highest number of articles, followed by b) language learners´ processes and outcomes, c) teacher education for both preservice and inservice teachers, d) critical literacy and literacy involving social development, and d) uses of Spanish as expression of popular culture and English as a sociolinguistic phenomenon in San Andres. The variety of research reflected in these five thematic groups certainly contributes to addressing the two target disciplines our journal is interested in: Applied Linguistics and English Language Education in the context of Colombia and Latin America. Why does critical literacy hit a snag in the Iranian EFL setting?